Following on from the previous Bleak House post, here are links and images from the Little Dorrit class this week. 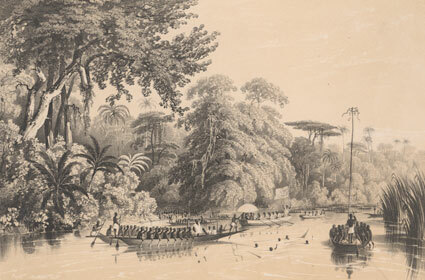 We started off with some context on the 18th century Grand Tour, and these two images as indicative of the sites and ideology behind the Grand Tour. 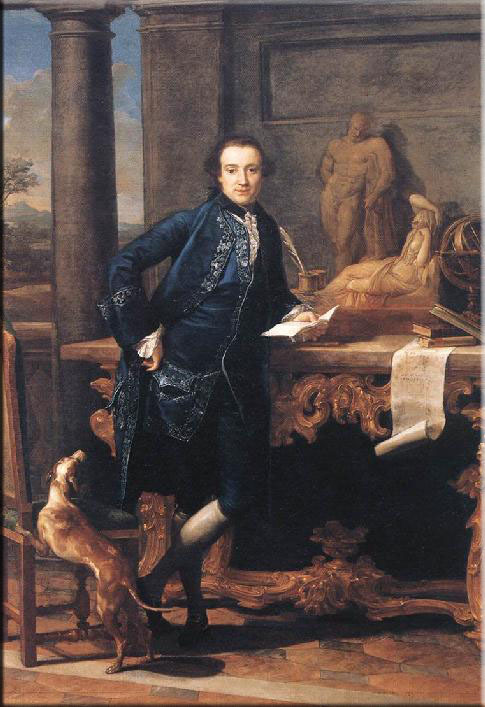 The first image is by Pompeo Girolamo Batoni, who painted many Grand Tourists and this is typical of such paintings. 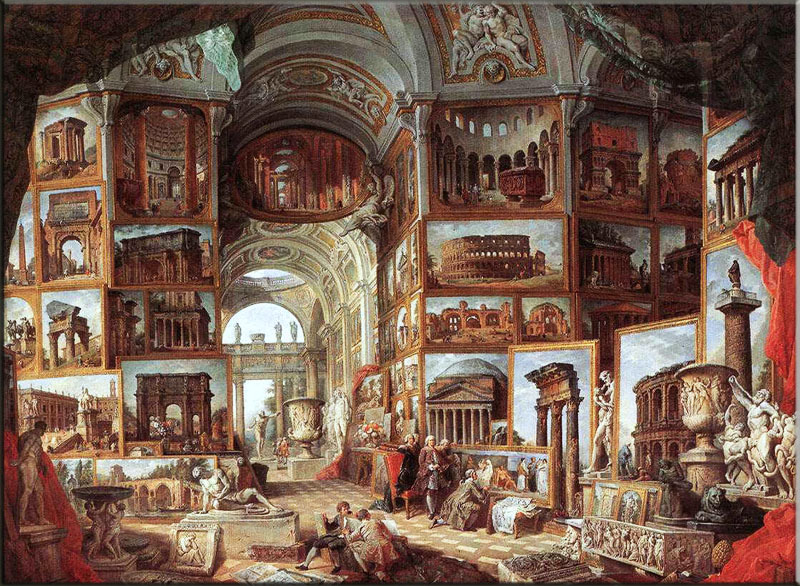 This second image is “Picture Gallery with Views of Modern Rome” by Giovanni Paolo Pannini (1759) and shows many of the popular sites of Rome that would be visited by tourists. The travel guidebook that I showed in the lecture was a 1912 Baedeker’s Guide to Southern Italy, which I have blogged about here (and have another post on the Sardinia sections forthcoming) and there is information on the history of the guides here. 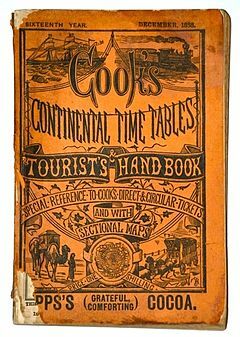 I also showed this image of Cook’s tours and there’s some interesting history to the firm and you can also view some more images here. 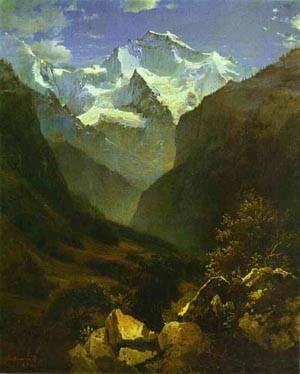 The image of the Alps is an 1862 painting by Russian painter Alexei Kondratyevich Savrasov, and I mentioned Percy Bysshe Shelley’s “Mont Blanc” (1817)as an indicative response to the Alps landscape. 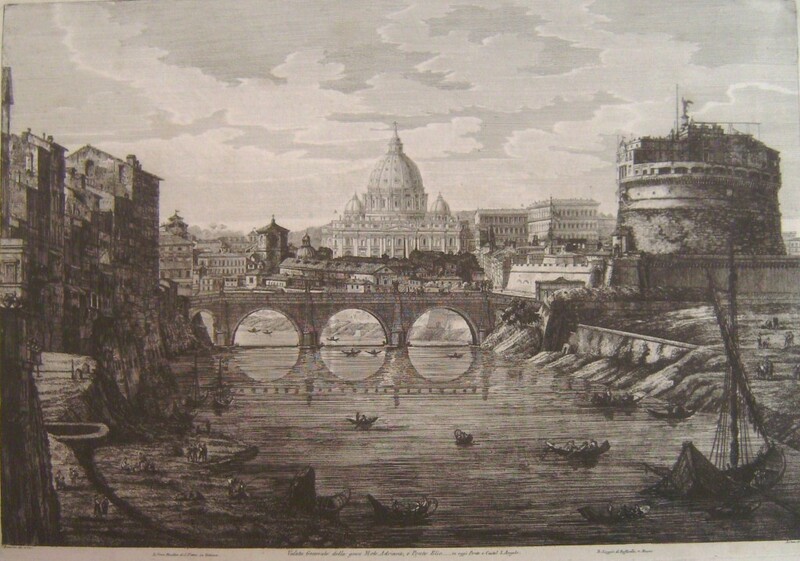 The final two images of Venice and Rome are a 19th century view of Venice (anonymous) and an 1823 engraving of St Peter’s Basilica and Castel Sant’ Angelo by Rossini. 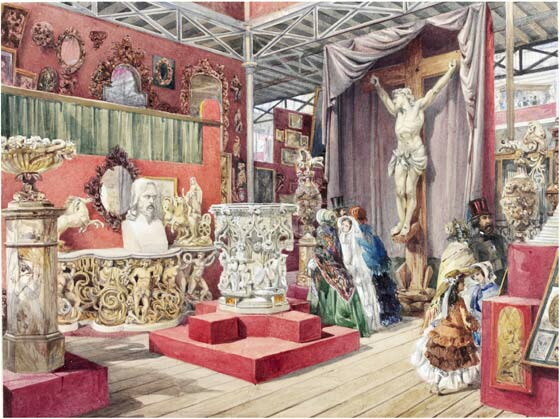 In the extract on Rome, Dickens refers to “the celebrated Mr Eustace”, writer of A Classical Tour through Italy. 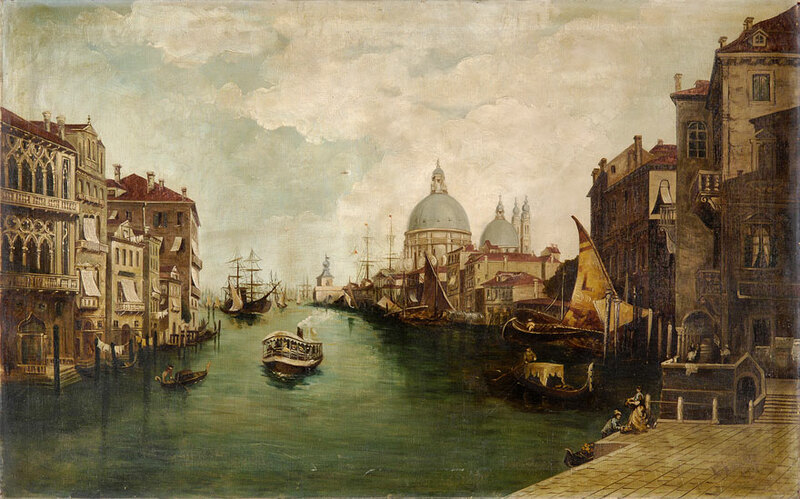 Finally, I have recorded a podcast about travel in Little Dorrit which is available here. As some readers will know, as well as research blogging I also run a teaching blog for my classes on The English Nineteenth Century Novel. The blog has been featured in the Journal of Victorian Culture Online’s Teaching and Learning Showcase, where I write about how I use the blog and the advantages of doing so. 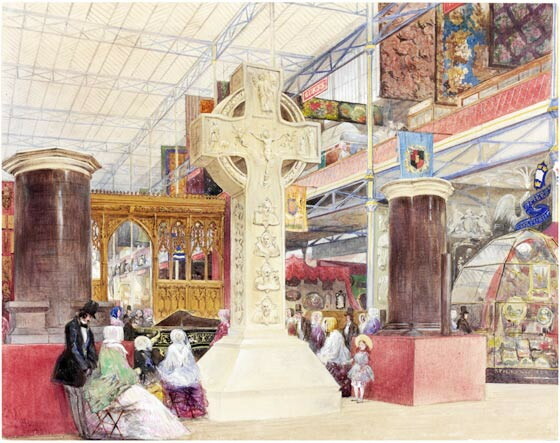 The showcase has featured a rich range of teaching methods, covering everything from digital resources, creative assignments, and field trips; if you’re a Victorianist who teaches then do take a look! 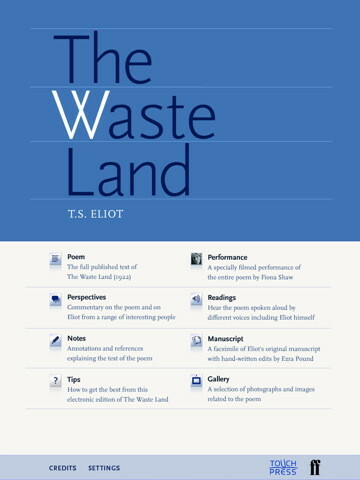 Following on from my previous musings on this subject, the first scholarly edition designed for the iPad was launched yesterday – an app of TS Eliot’s The Waste Land. I haven’t purchased it yet, and I won’t be rushing to (it’s £7.99 – pretty expensive as apps go, and it’s not a text that I teach or research so my decent and well-annotated edition serves me well enough) but the Guardian videocast (linked above) and description on the Apple Apps store give a good idea of the features. My first impressions are that it looks like a well thought out and potentially very useful material: the surrounding material includes critical commentary and annotations, recordings of the text by Eliot, Ted Hughes, and a filmed performance of Fiona Shaw’s reading, as well as facsimile manuscript pages. All of this is not only very helpful for student use, but especially so in the way that it’s been designed for use on the iPad – the ease with which you can switch between recordings, watch video alongside text, and bring up different recordings all make use of the iPad’s features and the simultaneity of different media the iPad allows for that you just can’t get as easily on a Pc. It strikes me that this would be a very useful teaching tool – recordings and manuscript versions are resources that I use in teaching Ginsberg’s Howl, and having such an app would handily cut out the sometimes tedious work of compiling resources before a class- no more trawling the internet to find the best recording, or trying to get a good photocopy of poor-quality manuscript pages, it’s all just there and readily available on an easily portable object. But the size of the iPad and it’s lack of connectivity to an external device means this isn’t going to work for anything more than a seminar, and even then it’s limited if you want the students to interact with their own copy of the material; and once the students leave the classroom it’s useless unless they own iPads (and if they did, would I recommend they buy the iPad edition over the printed text? Unlikely). I also wonder at how far the usefulness of these extra materials goes; visual and auditory media might stimulate some aspects of seminar discussion, and having annotations for a complex text like The Waste Land are undoubtely valuable in freeing-up discussion time that might otherwise be spent simply explaining the many references and intertextual points; so with a text like this, you can cut out some of that textual work and move more swiftly to the critical analysis. But at the end if all this, it’s the text itself that really matters and the students’ interpretations and responses to that which I’m really interested in getting to in the seminar – the extra media and material provides the stimulus for that, but I wonder if having all of this in such a format enables or inhibits the individual response? Is this all that different to the usual scholarly annotated edition? It feels to me as though having all of this material compiled together might somewhat inhibit the student response outside of those parameters- there seems to be something formalised and thus limiting about the material being set in screen, as though this is all the “right” material that one needs to understand the text, perhaps? There’s also something about the barrier I feel this puts between the reader and text – from my brief experiences in reading on the iPad for my own research, I do feel at one remove from the text; without getting all nostalgic about the look and feel of a book, you can’t scribble notes or underline the etext, it doesn’t feel you can make it your own in the same way. And although there’s an ease to reading and moving around material quickly on the iPad screen, the easy skimming through the text further encourages a move away from slow and detailed reading and the response that such a reading generates. Despite these reservations I’d certainly be willing to give this a go if there was a similar app for a text I teach, and it’d be interesting to see if this could enhance teaching and learning, and how students and tutors might use this as a starting-point for more interactive work.